WINDHOEK/GENEVA, 21 November 2016—A new report by UNAIDS shows that countries are getting on the Fast-Track, with an additional one million people accessing treatment in just six months (January to June 2016). By June 2016, around 18.2 million [16.1 million–19.0 million] people had access to the life-saving medicines, including 910 000 children, double the number five years earlier. If these efforts are sustained and increased, the world will be on track to achieve the target of 30 million people on treatment by 2020. The report also shows that the life-extending impact of treatment is working. In 2015, there were more people over the age of 50 living with HIV than ever before—5.8 million. The report highlights that if treatment targets are reached, that number is expected to soar to 8.5 million by 2020. Older people living with HIV, however, have up to five times the risk of chronic disease and a comprehensive strategy is needed to respond to increasing long-term health-care costs. "Ending AIDS is possible only if we join hands—by each doing what is within our scope, creatively and aggressively embracing the 90–90–90 targets," said Eunice Makena Henguva, Youth Economic Empowerment Project Officer for the Namibian Women's Health Network. The report also encourages countries to adopt the targets of the Start Free, Stay Free, AIDS Free framework led by UNAIDS and the United States President’s Emergency Plan for AIDS Relief to reduce the number of new HIV infections among children, adolescents and young women, and ensure lifelong access to antiretroviral therapy if they are living with HIV. The report shows that the ages between 15 and 24 years are an incredibly dangerous time for young women. In 2015, around 7500 young women became newly infected with HIV every week. Data from studies in six locations within eastern and southern Africa reveal that in southern Africa girls aged between 15 and 19 years accounted for 90% of all new HIV infections among 10–19-year-olds, and more than 74% in eastern Africa. Many children who were born with HIV and survived are now entering adulthood. Studies from 25 countries in 2015 show that 40% of young people aged between 15 and 19 years became infected through mother-to-child transmission of HIV. This transition is also magnifying another major challenge—high numbers of AIDS-related deaths among adolescents. Adolescents living with HIV have the highest rates of poor medication adherence and treatment failure. 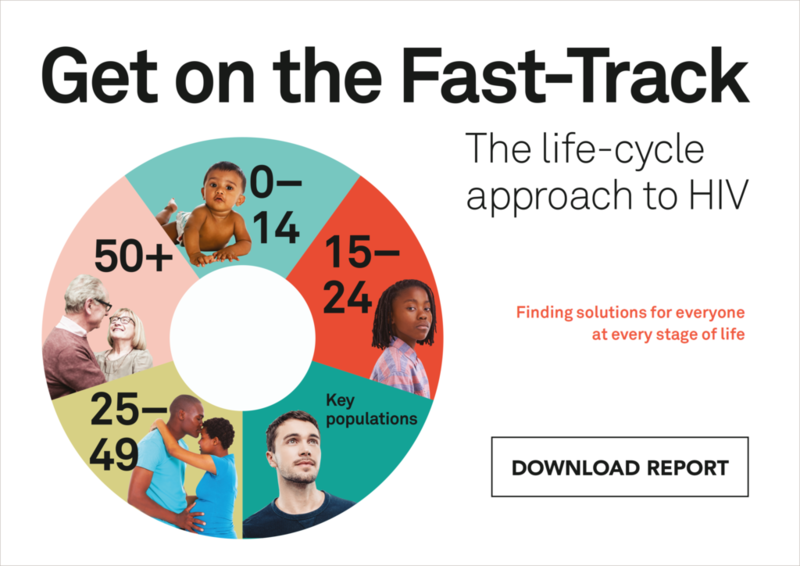 The report concludes that investments must be made wisely across the life cycle, using a location–population approach to ensure that evidence-informed, high-impact programmes are available in the geographical areas and among the populations in greatest need.